Delray Beach's inaugural Bacon and Bourbon Fest is being held this month. Another unique food festival is coming to South Florida. 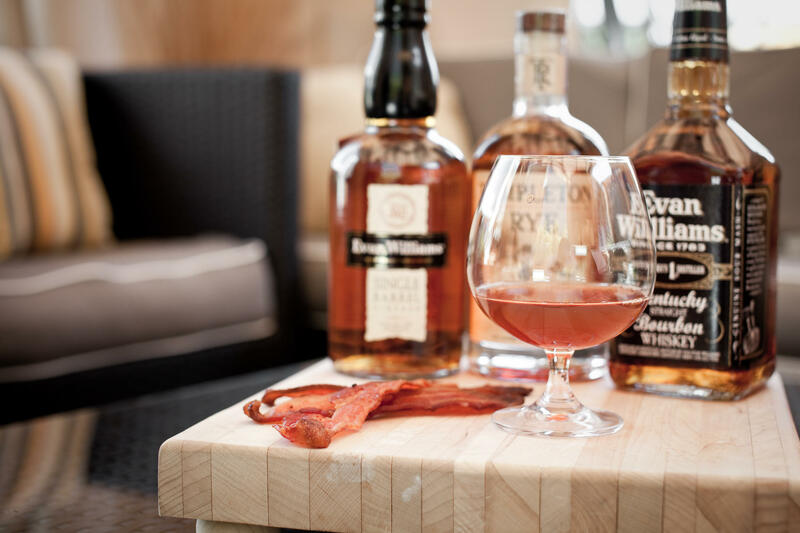 At the end of this month Delray Beach will be celebrating bacon and bourbon. Click listen to hear the radio version of this story. "We just thought it would be a great hook to come up with some creative menus with bacon and bourbon," said Nancy Stewart, the executive director of the city's inaugural Bacon & Bourbon Fest. Her company is also behind Delray's Garlic Fest and the city's Wine and Seafood Festival. "Oh, Delray is definitely a foodie town," she says. Stewart says the Bacon & Bourbon Fest will be a little more upscale than the other festivals. A limited number of tickets are being sold. Drinks will be served in glassware, not plastic cups, and there will be seminars on food and bourbon pairings along with a Sunday brunch featuring a bacon bar. "You'll be able to get sticks of bacon where some of them are dipped in chocolate, some of them are barbecue, some of them are pecan rosemary," said Stewart. "So there's are all kinds of crazy things that probably the general public has never experienced. The event is set for March 28 and 29. General admission tickets cost $25 with more expensive packages available for events such as the bacon and bourbon lovers dining experience, which runs $150. Stewart says a portion of the proceeds goes to local community groups. "We staff our event with local, nonprofit organizations," says Stewart. "They all earn a percentage of proceeds based on the man hours, the number of volunteers that staff our event. All of our events are based around giving back to our community." There’s no doubt the South Beach Wine and Food Festival includes many mouth-watering events. The Amstel Light Burger Bash and the Death By Chocolate Dessert Party certainly paint images of dietary free-falls. But the festival is also starting to reflect growing health trends that are sweeping the nation. In only two years, the Buddhas and Bellinis event has become a huge hit. On both Saturday and Sunday of the festival, 200 people gathered by the pool of the Raleigh Hotel on South Beach for a yoga class. About a year ago, the Miami Herald named business reporter Evan Benn its new food editor. He was appointed because Miami's paper of record noticed the importance of South Florida's booming culinary industry. That's an industry Benn is well connected with, and during this year's South Beach Wine and Food Festival, he's putting in the spotlight the people who make South Florida matter to the larger world of good cuisine.